A recent study by the Centers For Disease Control and Prevention found that youth tobacco use continues to decline, and if we don’t do something about this soon, kids may just stop smoking altogether. The only bright spot for the tobacco industry was that cigar use did increase slightly. It seems that lower taxes and fun new cigar flavors have proven to be especially appealing to kids, and 11.6% of the students surveyed reported smoking at least one cigar in the last 30 days. People love to demonize tobacco and focus on the costs of smoking, but they’re completely ignoring all the positives. 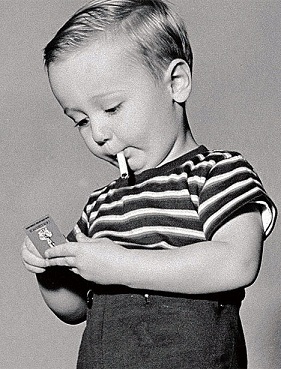 For one, cigarettes are made in America. The farmer who grows the tobacco and the factory employees who make the product put that money right back into the economy. We don’t make much here anymore, but cigarettes are literally homegrown. We all know smoking can take as much as a decade off your life, and anti-smoking zealots often cite the costs of smoking to Medicare and Medicaid to justify their anti-smoking campaigns. What they’re conveniently omitting is the savings you get from those shorter lives. Dying more quickly results in less long-term health costs and fewer social security payments. The average smoker doesn’t cost the government at all. It’s those fitness freaks who live to be a 100 who are the real drain. In summation, smoking is awesome, it helps the economy and it saves the government money. Instead of discouraging smoking, we should add it to the food pyramid and recommend children as well as adults get at least five servings of tobacco a day.